Highs Thursday and Friday will be in the mid to upper 90s, but the heat index will exceed 100. 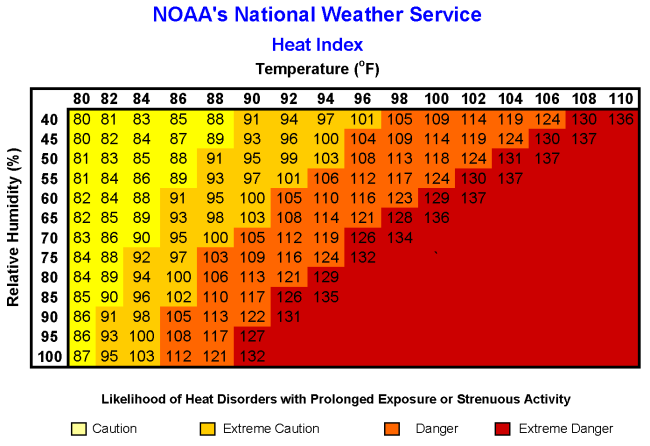 The heat index is how the the air feels to you based on the humidity level. When it is hot, the body cools its self by sweating. The sweat then evaporates cooling the body. When the humidity is high your sweat can't evaporate as easily preventing your body from cooling off. 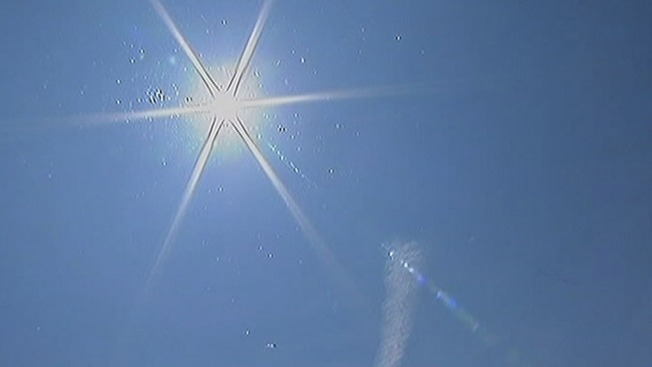 This can also be a hazard to your health, when the body can't cool off you are at risk for heat related illnesses. A chart built by the National Weather Service displays the calculations already done for you. Much easier! 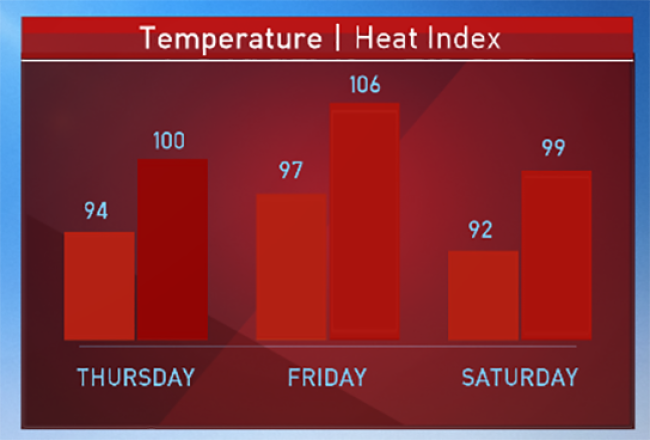 The heat index through Saturday will reach the dangerous category. Prevention can help protect you in the heat. Begin hydrating at least 30 minutes before an outdoor activity. Wear light-colored, loose-fitting clothing and take frequent breaks in air conditioned areas.